Windscribe sets you free. 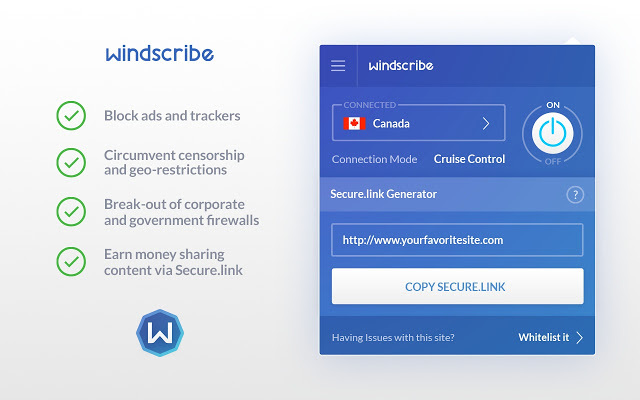 Windscribe is a privacy tool that allows you to access the Internet anonymously, helping you unblock Geo-restricted content, bypass network firewalls and keep your browsing habits hidden from prying eyes. 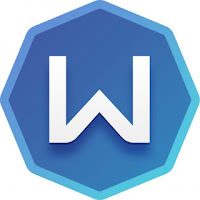 Windscribe is not just a VPN, it’s a desktop application and browser extension that work together to protect your online privacy, unblock websites, and remove ads and trackers that follow you across the websites you visit every day. Never mess with confusing settings and options menus again, our minimalist applications are designed to be turned on once, and forgotten about. How To Activate:Go to the Windscribe signup page and click either the USE FOR FREE or GET UNLIMITED buttons (either button will work) to create a new Windscribe account. Next, fill out the form. Before you submit the form, click HAVE A VOUCHER and enter 0AXSPJKH in the voucher code box that appears. Now submit the form. Now download and install Windscribe, log into your account within the program, and enjoy!